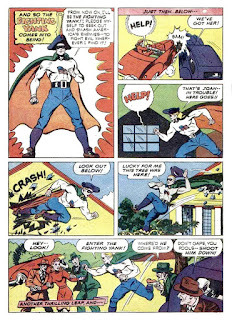 Pappy's Golden Age Comics Blogzine: Number 2324: Enter the Fighting Yank! 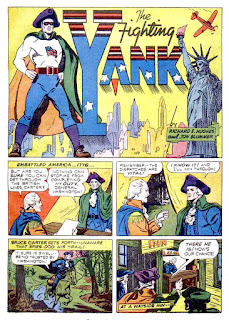 Number 2324: Enter the Fighting Yank! The origin of Fighting Yank was published in 1942, the year that America entered the war. 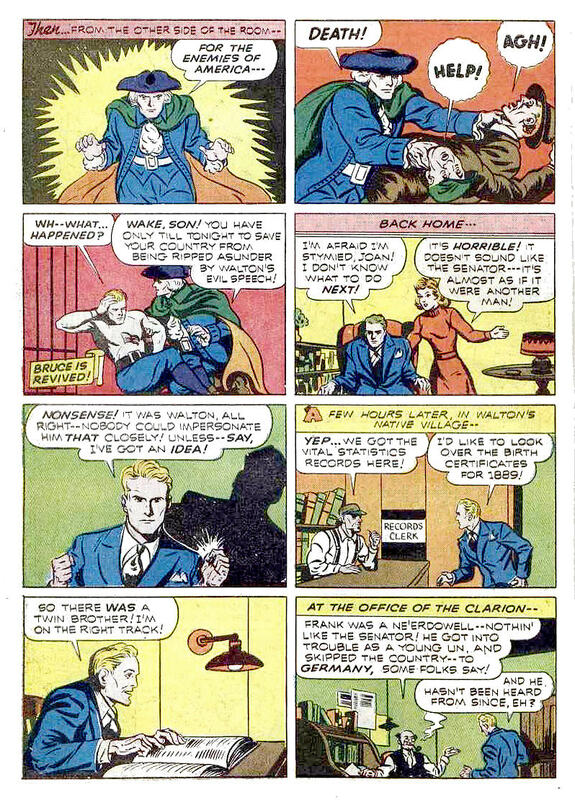 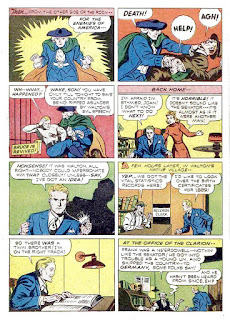 Patriotic heroes were popular, so Startling Comics editor, Richard E. Hughes, wrote the origin story, and it was drawn by Jon L. Blummer. 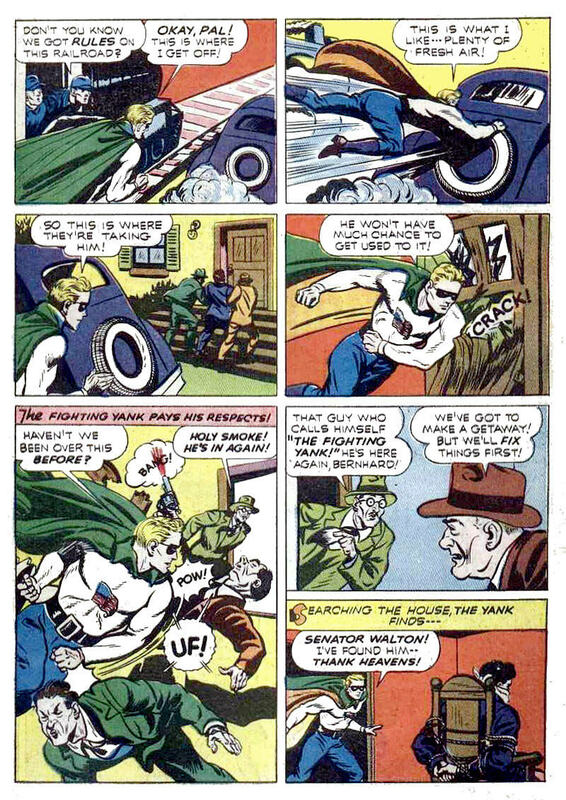 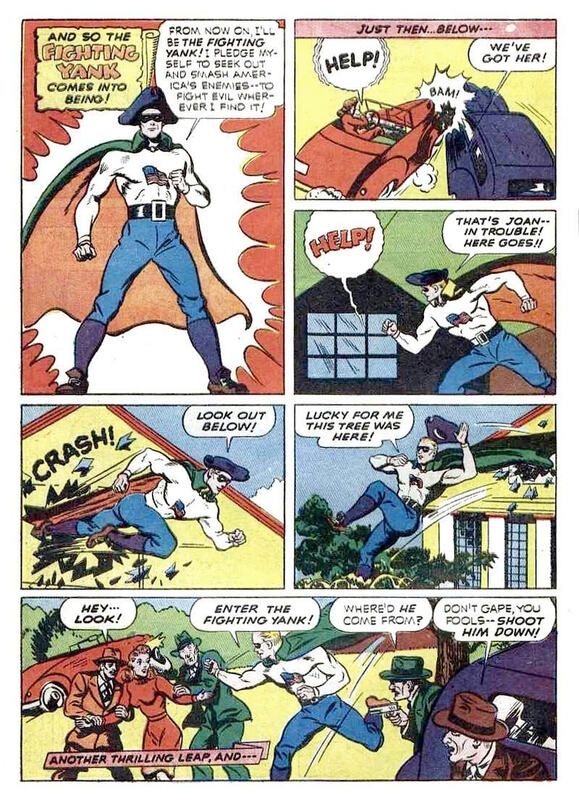 The story, which has a supernatural cause for Bruce Carter’s powers as Fighting Yank, is fairly typical for the time; patriotic hero goes after Nazis. 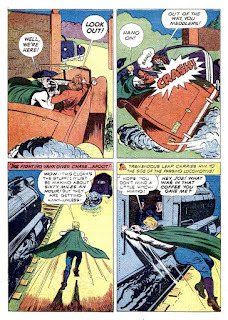 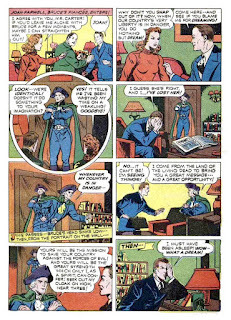 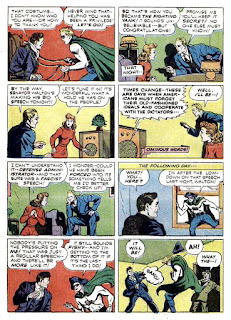 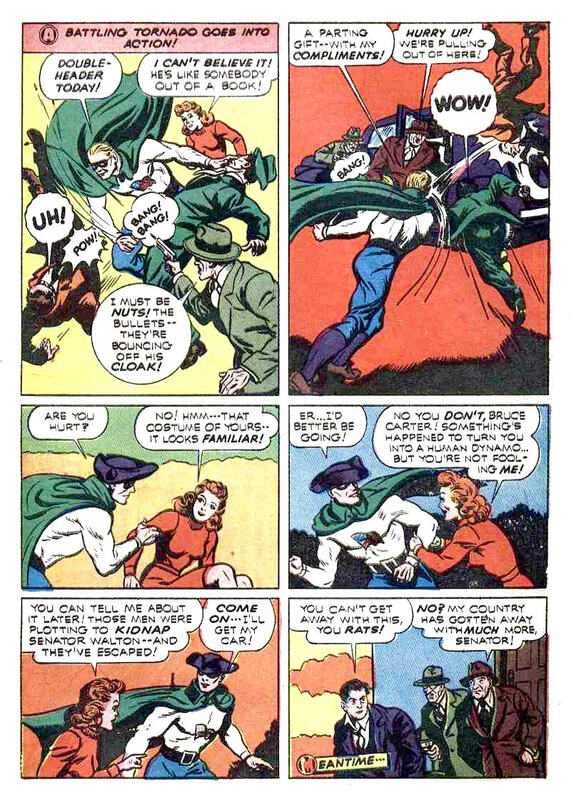 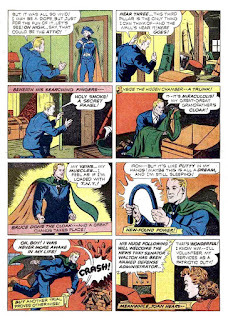 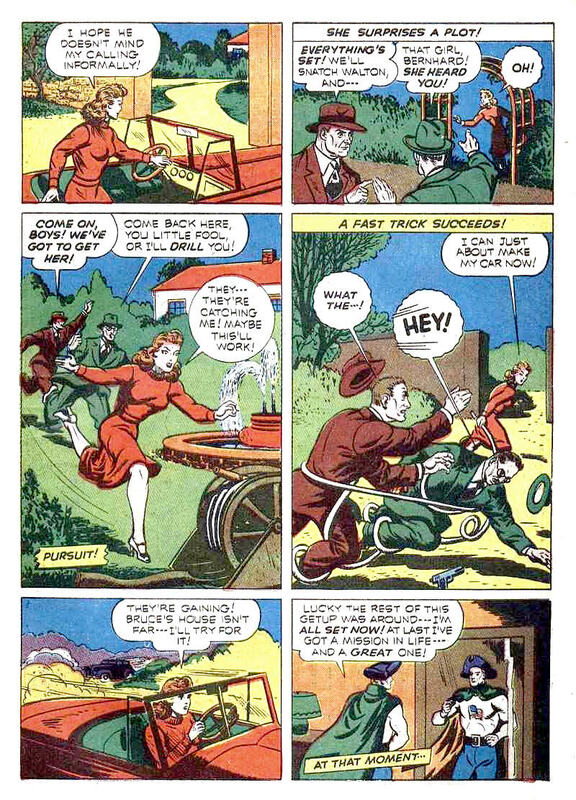 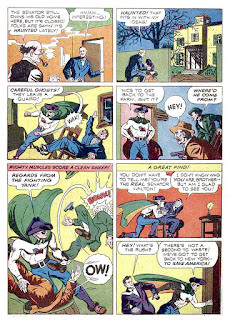 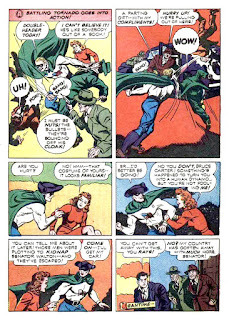 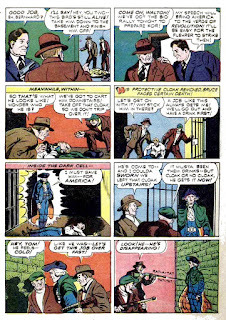 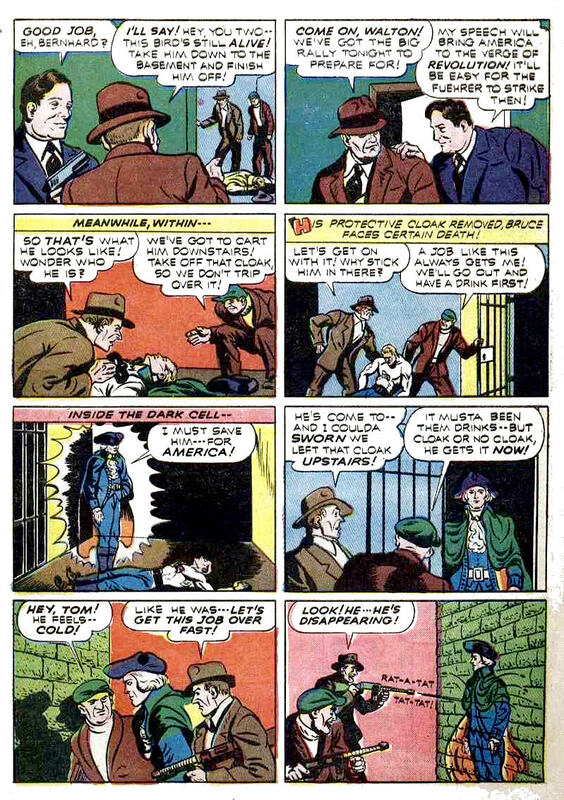 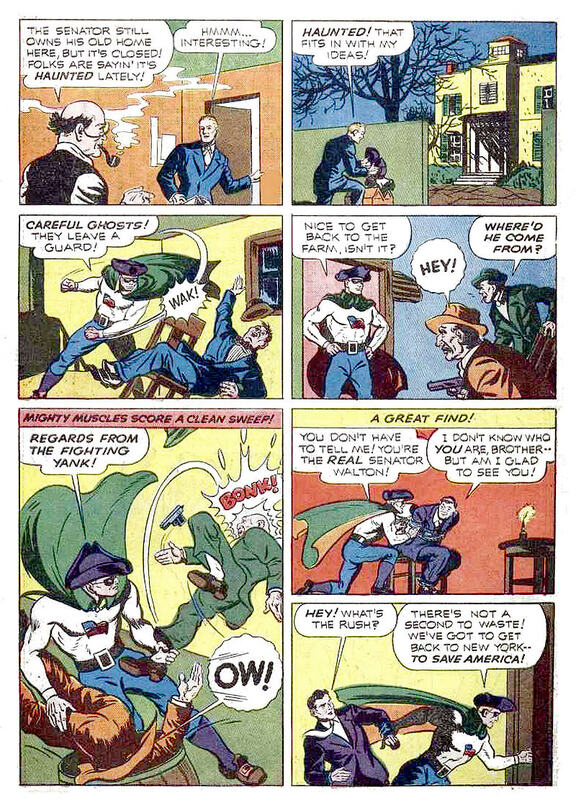 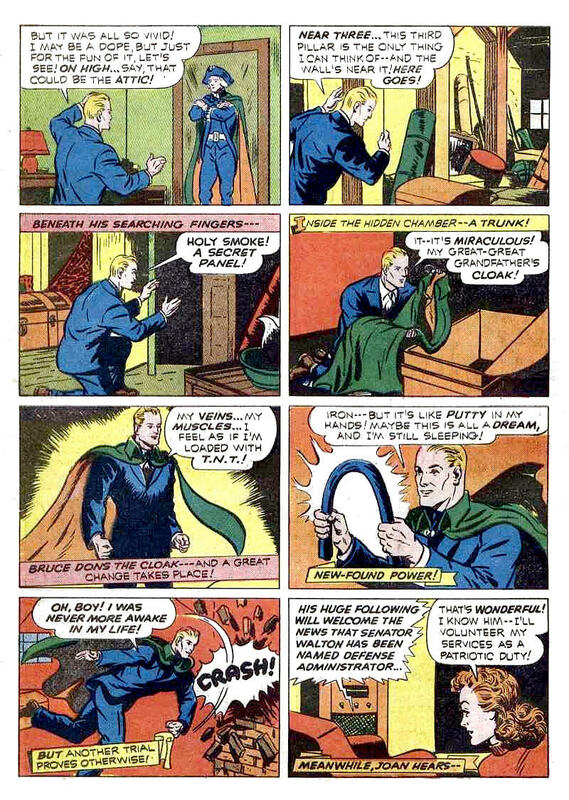 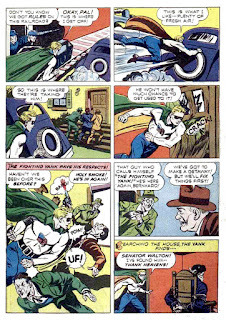 The character went on for several years and several artists, including a run by Jerry Robinson and Mort Meskin in the late '40s, before Fighting Yank hung up his cape and hat. 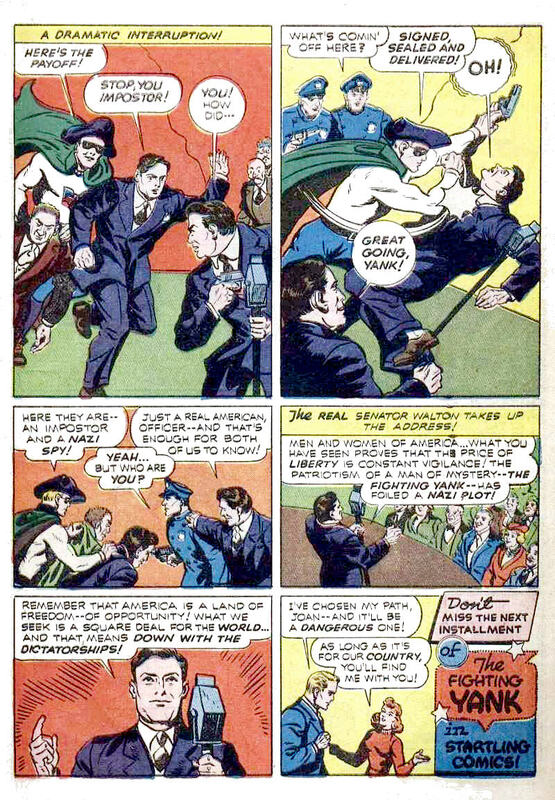 I have been doing some thinking about all of the heroes introduced in the wake of Superman, before official hostilities were declared, and then after the war began. 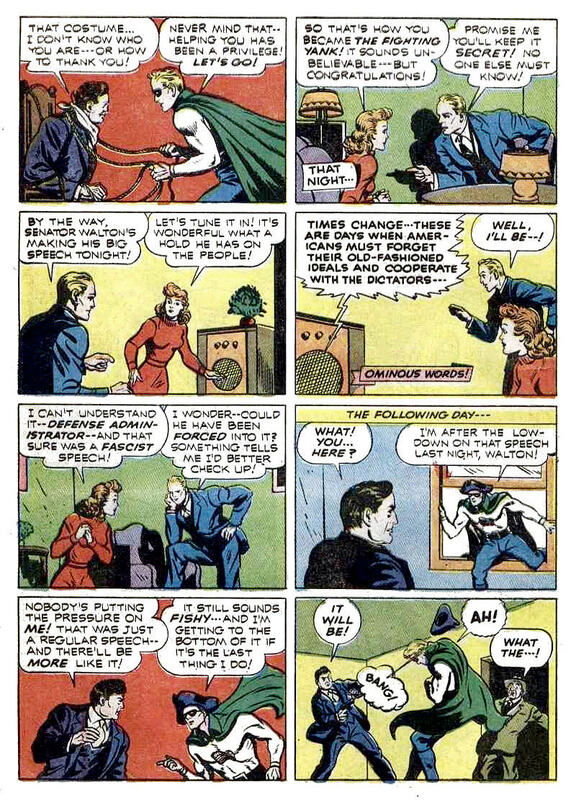 Who bought all of these comic books that continually repeated themes? 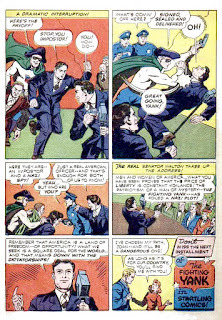 Despite much criticism, comic books had certainly come into their own, and they enjoyed huge sales. 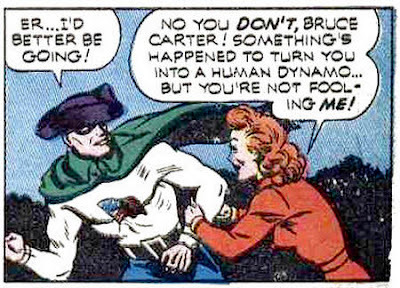 Kids bought comic books, or their parents bought comic books for them. 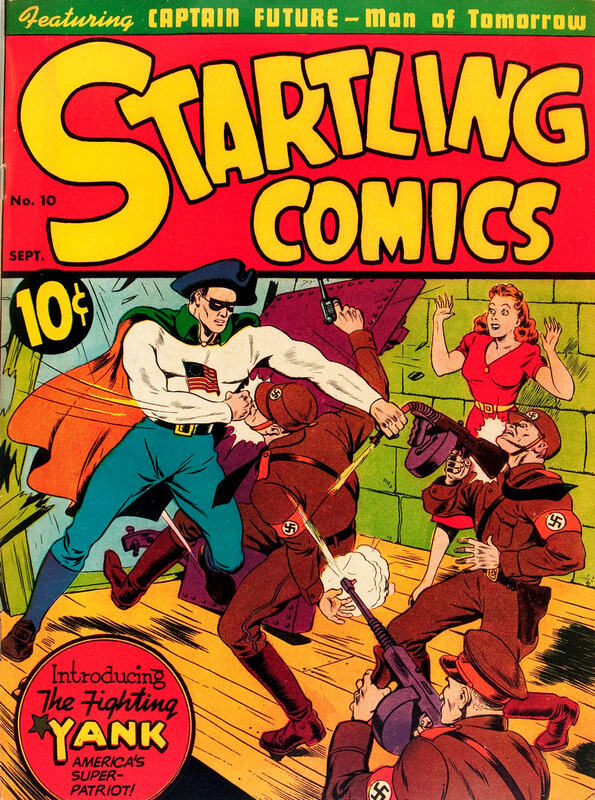 Some of it was the convergence of the comic books with America’s entry into the war. 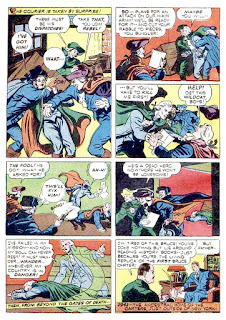 Paper rationing was instituted, so each publisher had a paper allotment. 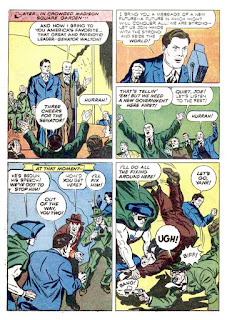 With thousands of troops being drafted the comics sold extremely well in PX's. 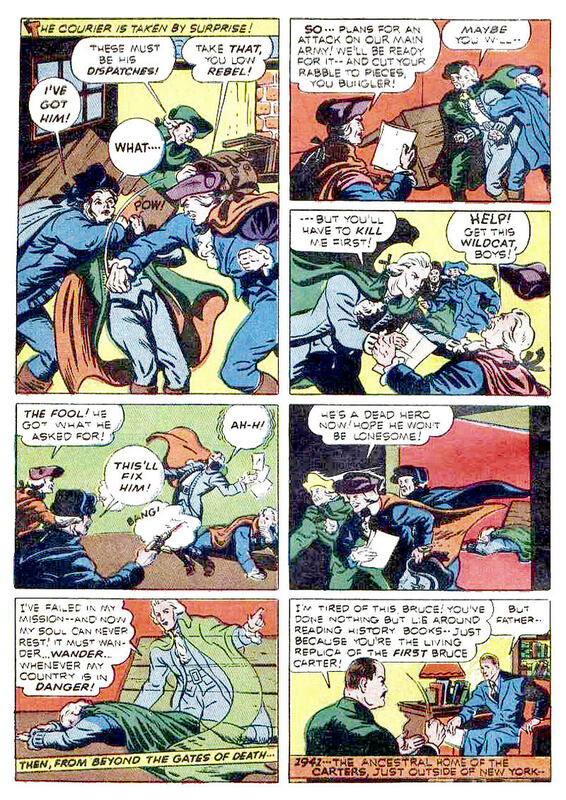 What I have read is that anything that was printed was sold. 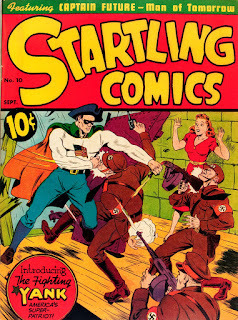 Publishers were encouraged to stay in the business because comic books were money in the bank...10¢ at a time. At least until the end of the war, when tastes changed from what had been traditional in comic books. My feeling is that troops were attracted to reading material that even for the less literate servicemen, could be “read” by looking at the pictures. 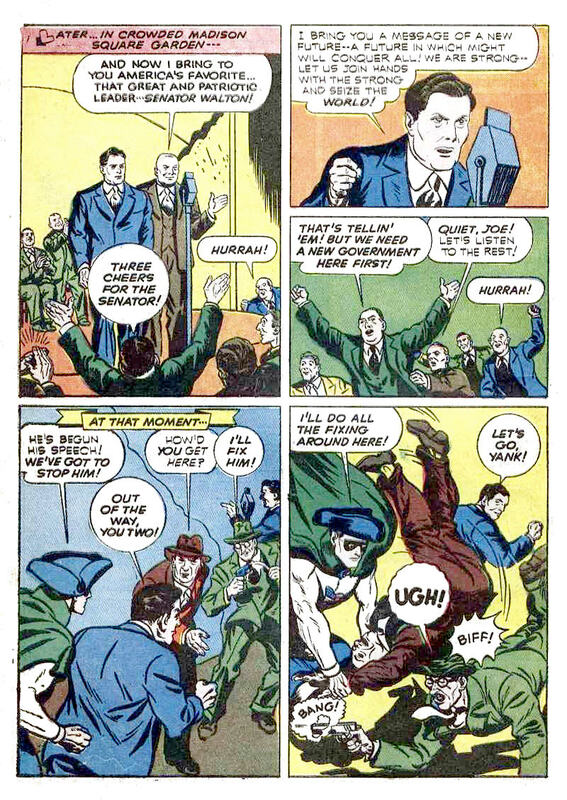 The comics were good for morale, the war was good for the comics. 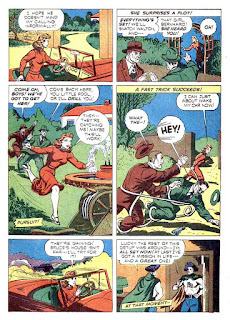 Pappy's Favorites Number 7: A Ghastly tale!